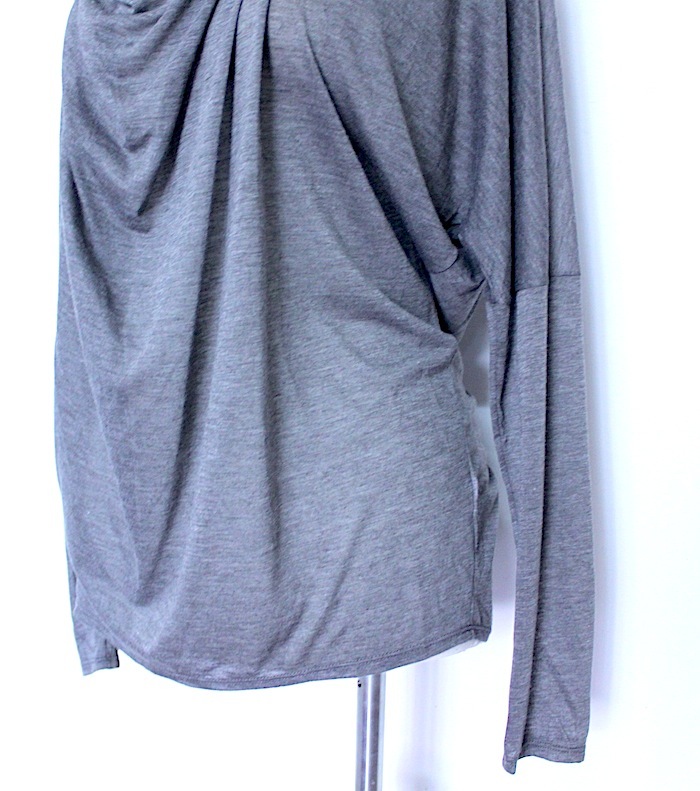 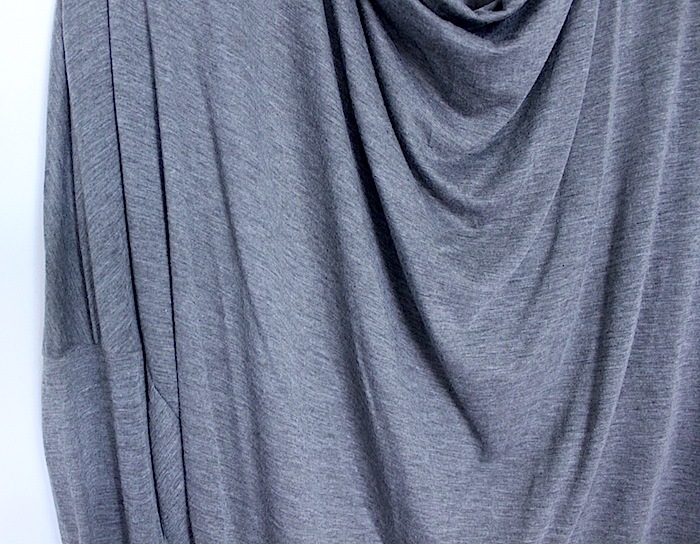 Cashmere Tee by Helmut Lang. 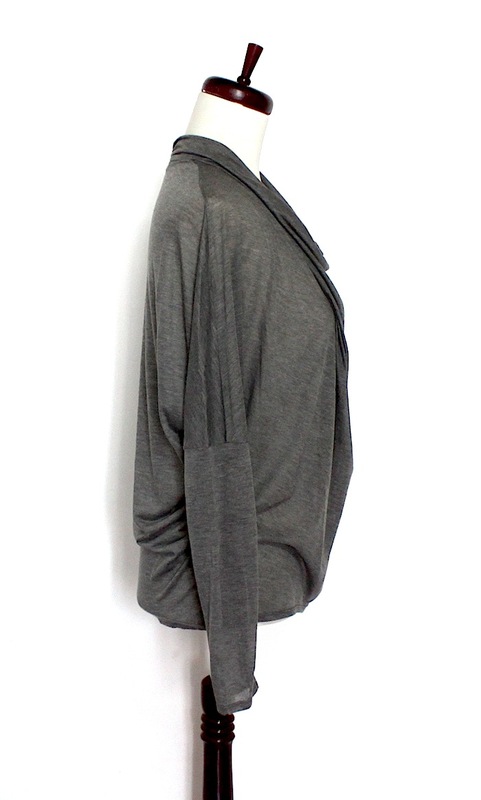 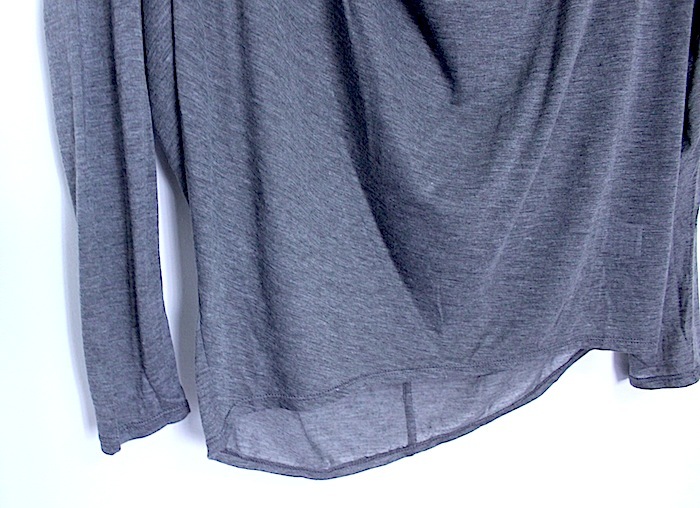 Long sleeve, cowl neck t-shirt in soft cashmere. 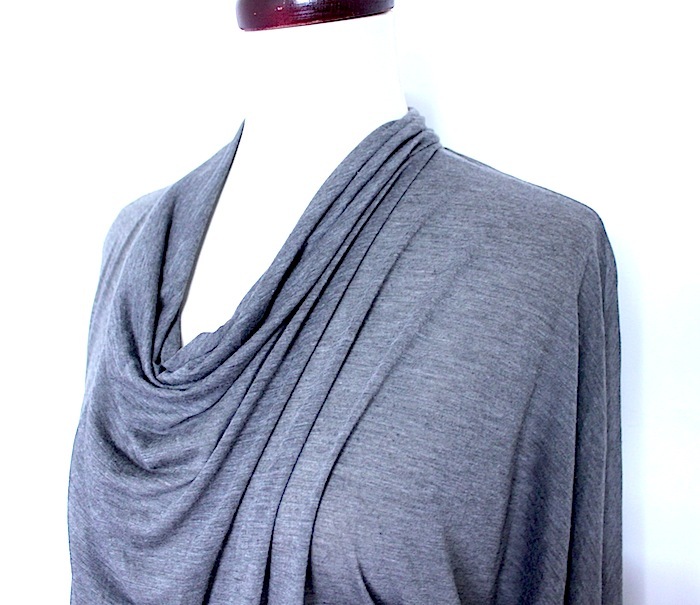 Cowl neck / Pleat detail at back neck / Dropped shoulder / Long, fitted sleeve / Center back seam detail / Curved hem / Length is longer in back / Relaxed, drapey fit / Color: Heather Grey / 100% Cashmere. 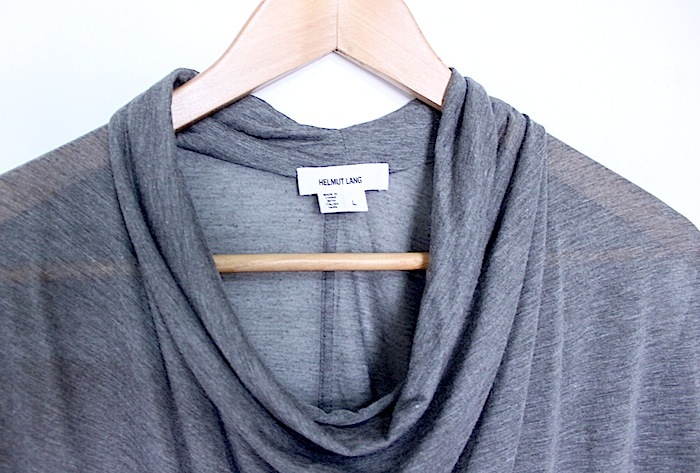 Sizing: Fits true to size. 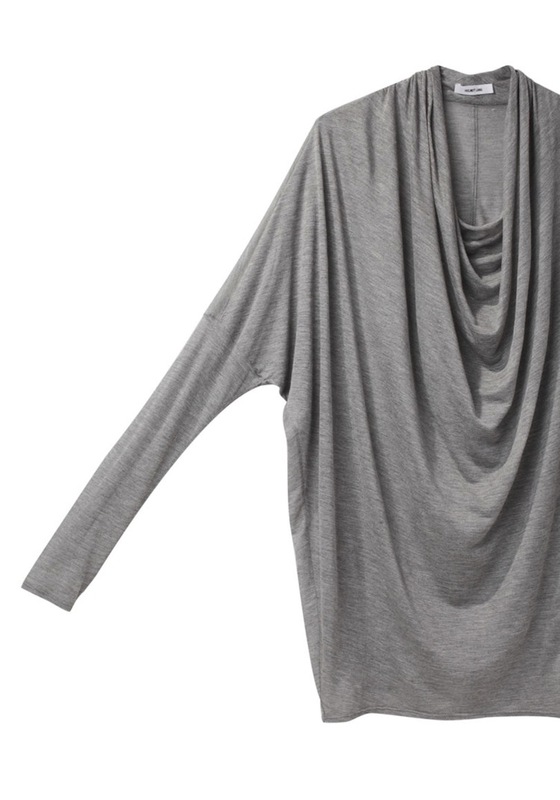 Model wears size Small. 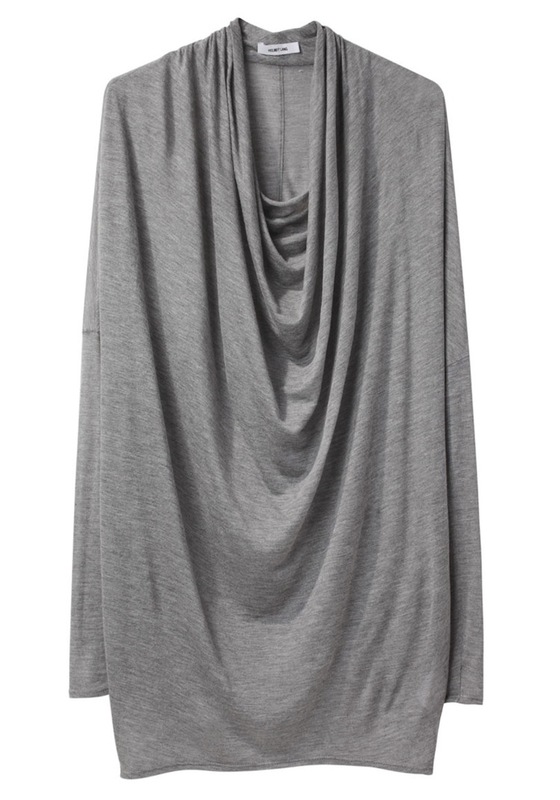 Model's height is 5'10"; bust 31"; waist 24"; hips 34"